In 1961 eleven miniature Japanese Celluloid toy dogs boarded a JAL flight from Tokyo to Moscow where they were to be featured at an international exhibition for rare toys. Two hundred miles outside of Moscow, the aircraft’s engine malfunctioned and crashed into a glacier in the White Sea. 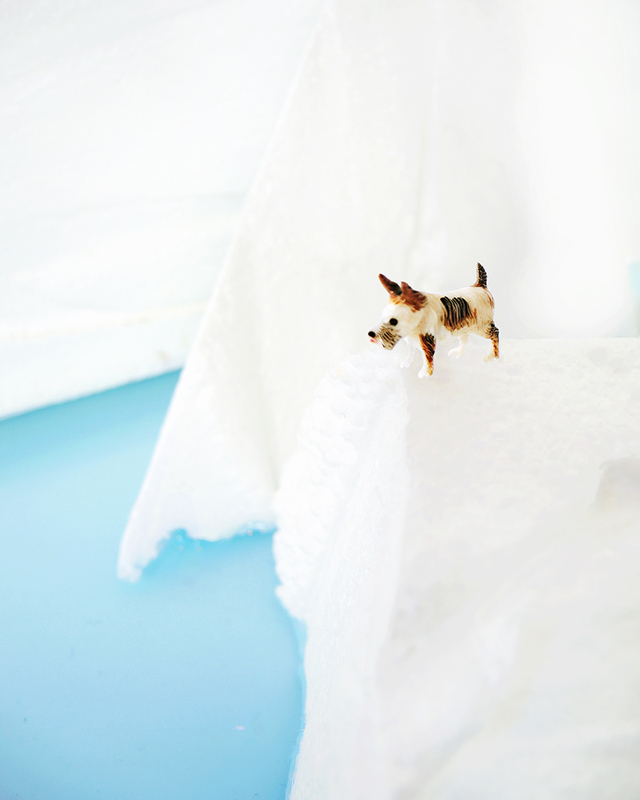 Scotty, the pack leader, guides his fellow passenger canines through a dreamy adventure in the arctic. Ice Age Scotty is Jenkinson’s playful homage to rare vintage Japanese Celluloid toys. Scotty, 2014. Archival pigment print. This entry was posted in Julie Jenkinson, Photography and tagged CONTACT Photography Festival, photos of vintage Japanese toys. Bookmark the permalink.